A new poll finds 49 percent of Americans say heroin use is a very serious national problem, while an additional 38 percent say it is a somewhat serious problem. 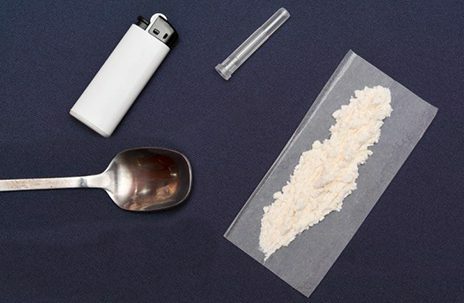 The HuffPost/YouGov poll found 46 percent of whites and 59 percent of both blacks and Hispanics say heroin addiction is a very serious problem, The Huffington Post reports. More than one-third of respondents say they know someone who has been addicted to heroin or another opiate, and about half say that heroin use is at least as much of an issue in their community as it is elsewhere. Only 8 percent of respondents said they think heroin abuse is more common among blacks than whites. In contrast, a 2005 poll on heroin found 37 percent of respondents thought heroin abuse was a greater problem for minorities, while 26 percent thought heroin use was more of a problem for whites. When asked which groups are most to blame for the heroin problem in the U.S., 28 percent said people who choose to buy and use heroin; 11 percent said drug dealers who sell heroin; 5 percent said government and law enforcement officials who determine how heroin users are treated; and 48 percent said all of those groups are about equally to blame. The online poll consisted of 1,000 completed interviews conducted January 20-22 among U.S. adults. A new study links the reformulation of OxyContin to an increase in the spread of hepatitis C.